Manda Aufochs Gillespie is the author of The Green Mama. She’s been writing, consulting, and giving advice (mostly solicited) on green living for a million years. Manda has helped green one of America’s first major environmentally conscious childcares, managed one of the world’s only urban ecovillages, and has taught hundreds of parents and small business about how to go green. She has appeared as the green living expert on the TV shows The Lazy Environmentalist, and Save My Planet. She is a columnist for EcoParent Magazine, and the Vancouver Observer. Last modified on 2018-03-22 12:35:15 GMT. 0 comments. Top. Manda Aufochs Gillespie, Green Mama, shares what today’s science and Grandma’s traditional wisdom tell us about prenatal care for mothers-to-be, breastfeeding, detoxifying the nursery, diapering, caring for baby’s skin, feeding a family, and healthy play — redefining the “basics” of parenting for today’s world. 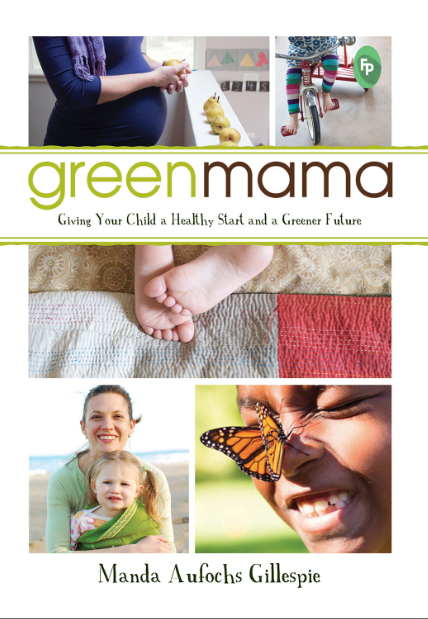 With an upbeat tone, stories of parents who have “been there,” real-world advice for when money matters more, and practical steps geared toward immediate success, Green Mama engages and guides even the busiest, most sleep-deprived parent. Green Mama helps parents become what they were always meant to be: experts on the care of their own children.